The Man Engine at Radstock, Somerset. 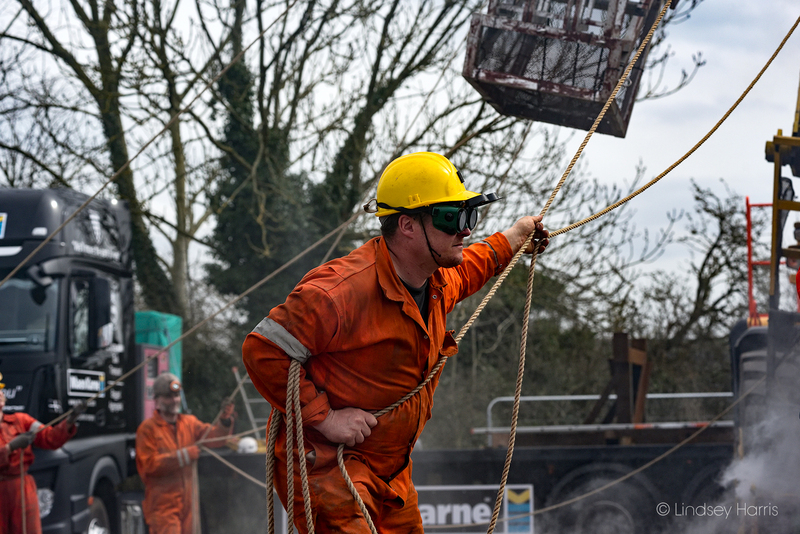 ‘Afterdarker’ on 6th April 2018. 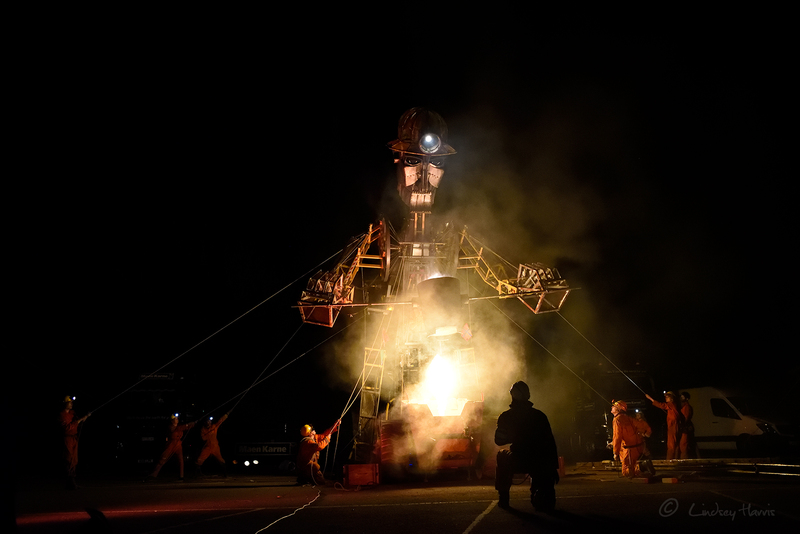 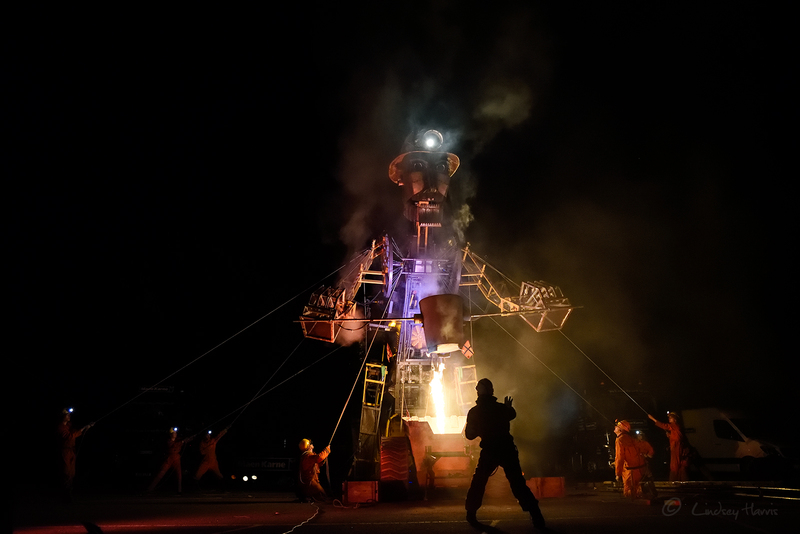 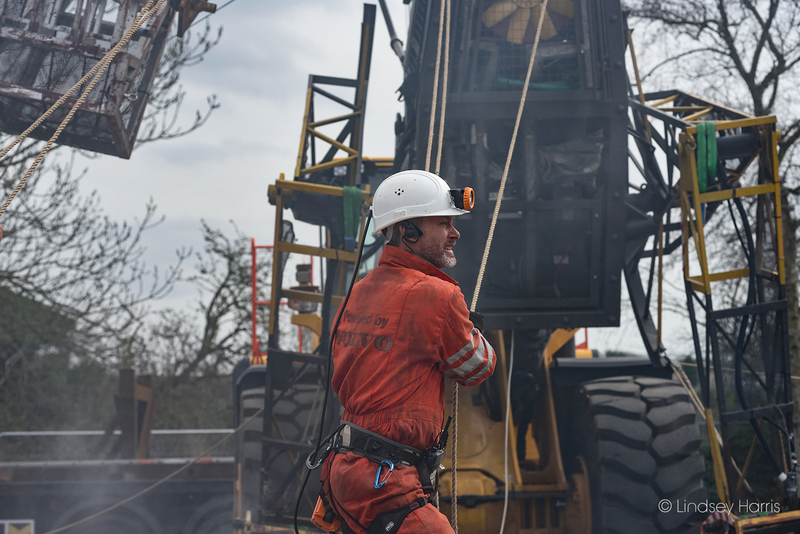 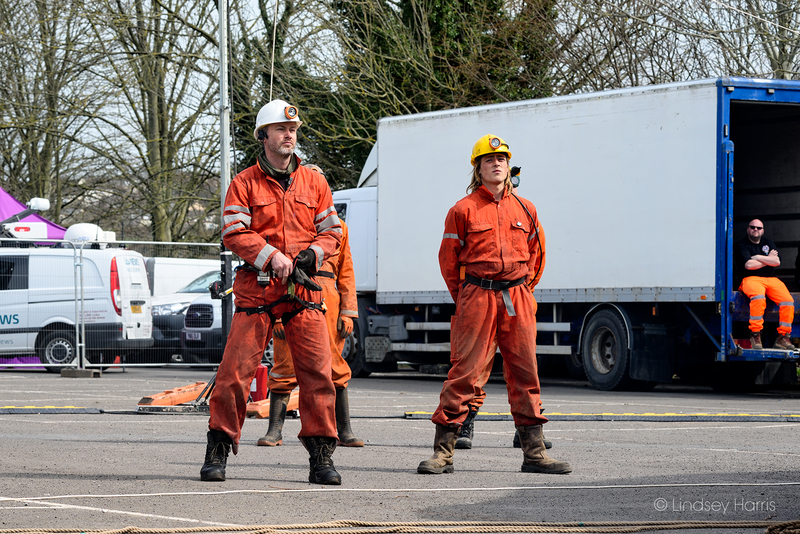 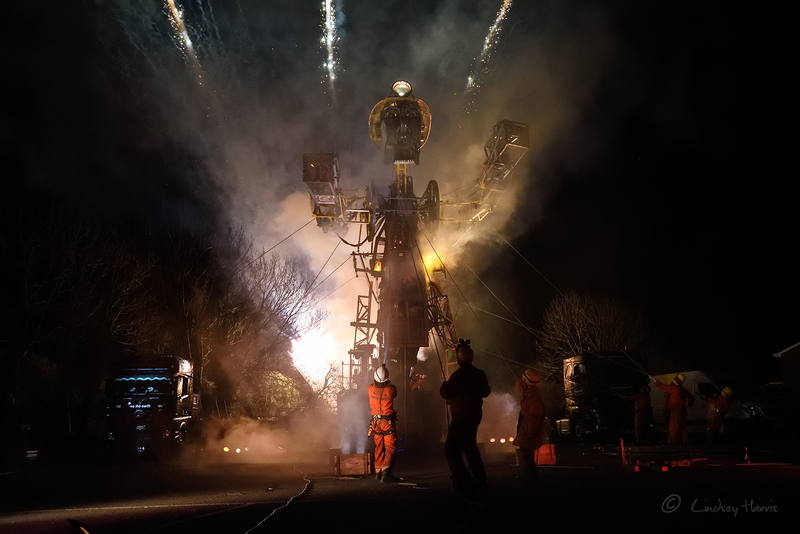 Today I was lucky enough to be invited to photograph the awesome Man Engine at Radstock, Somerset. 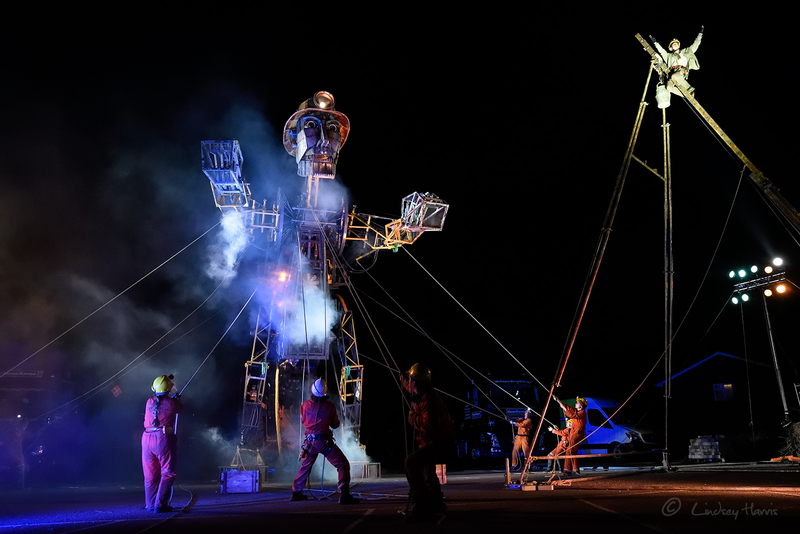 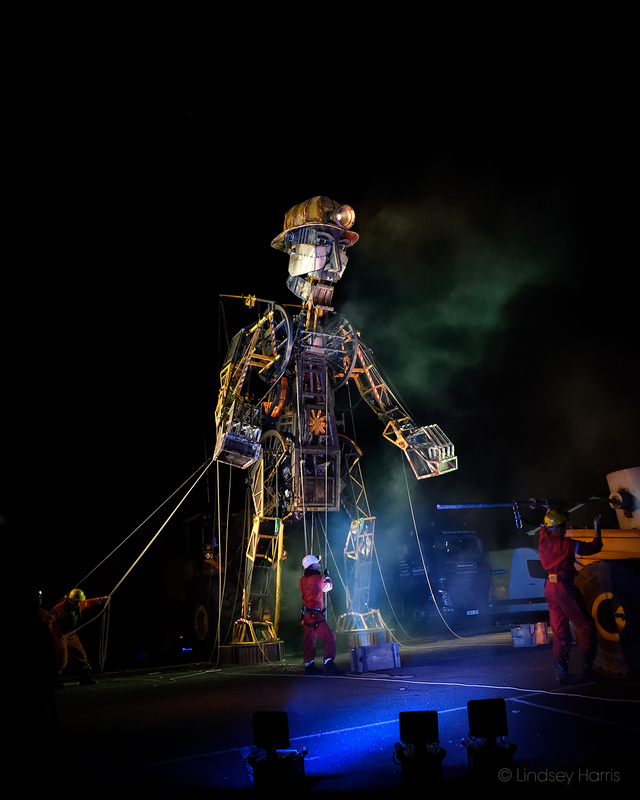 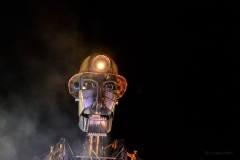 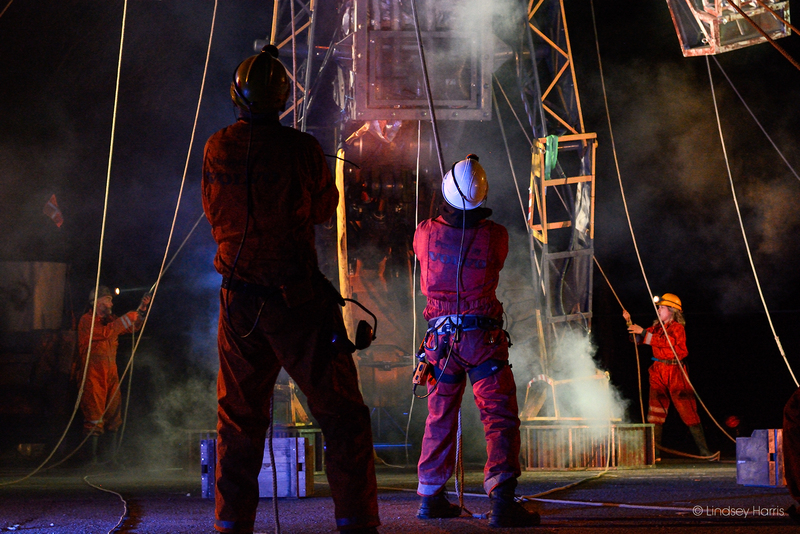 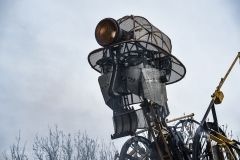 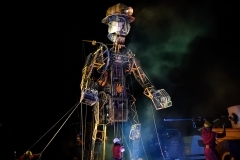 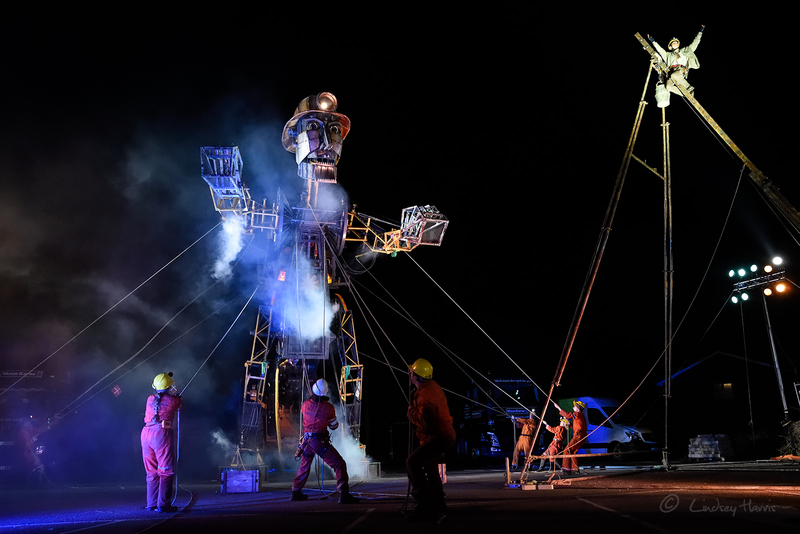 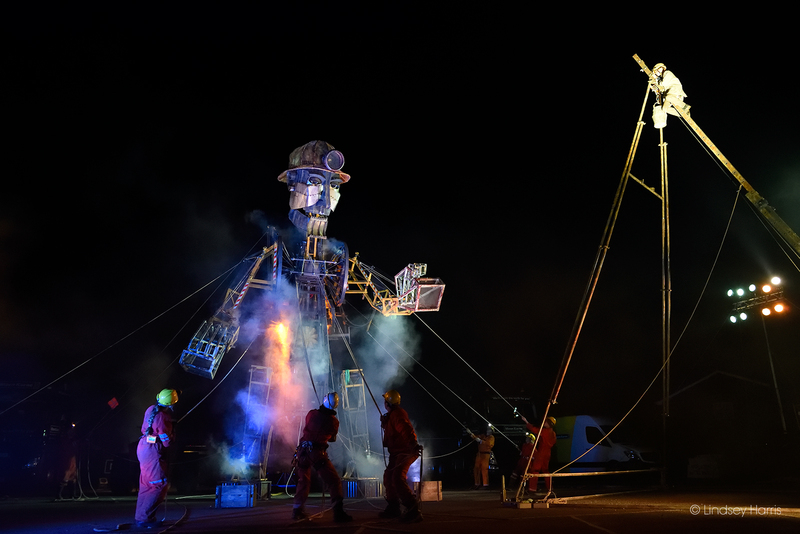 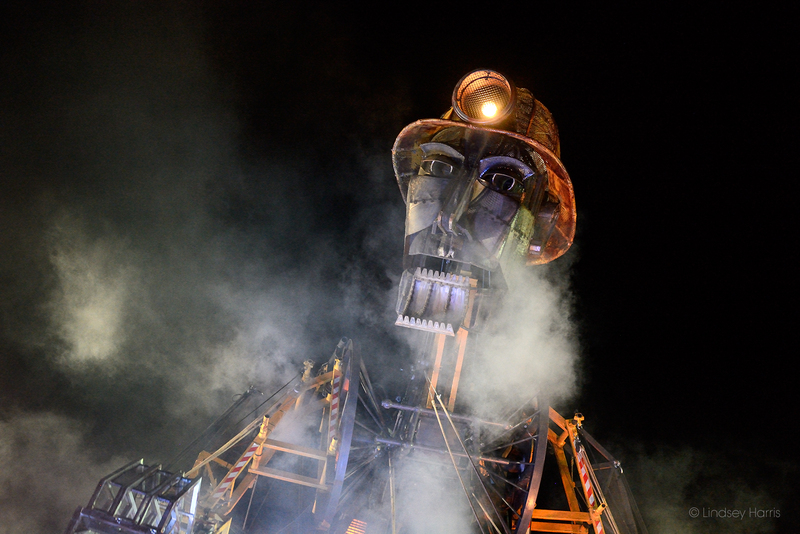 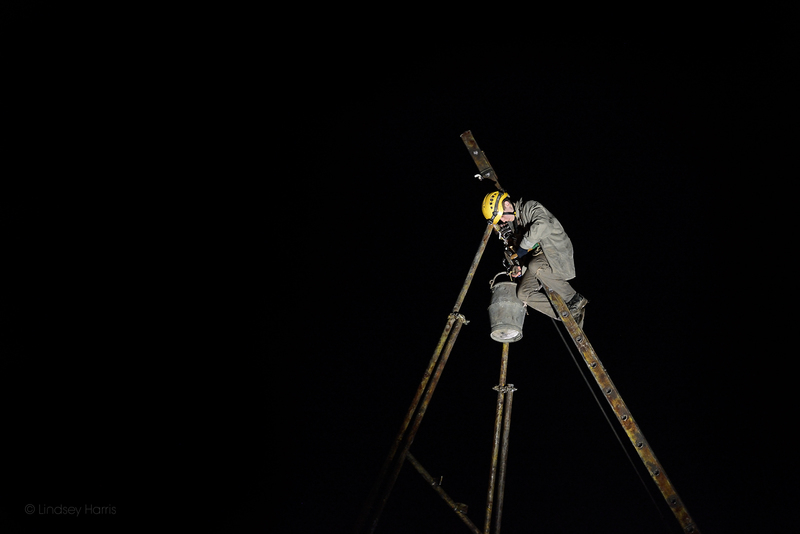 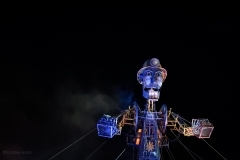 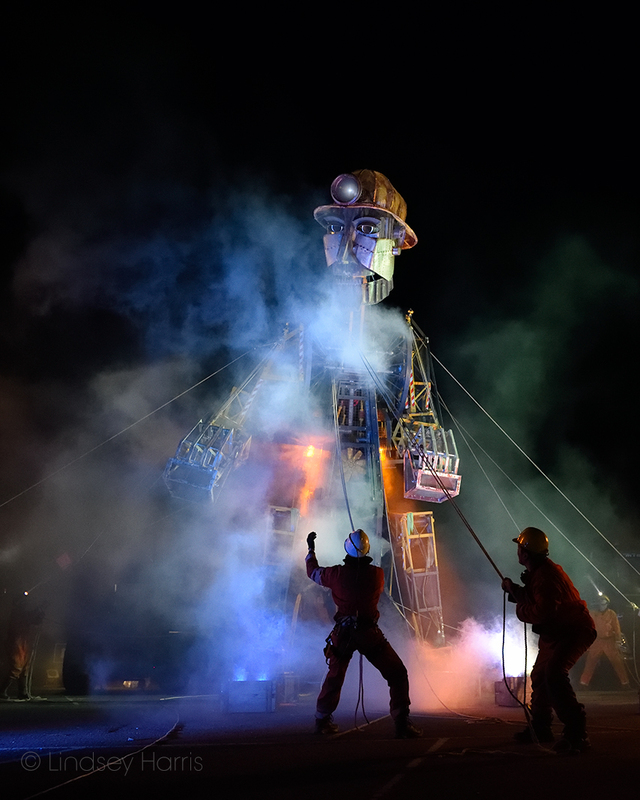 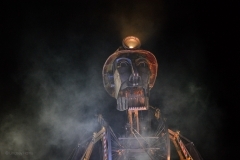 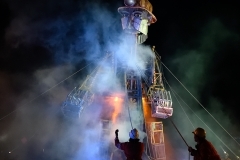 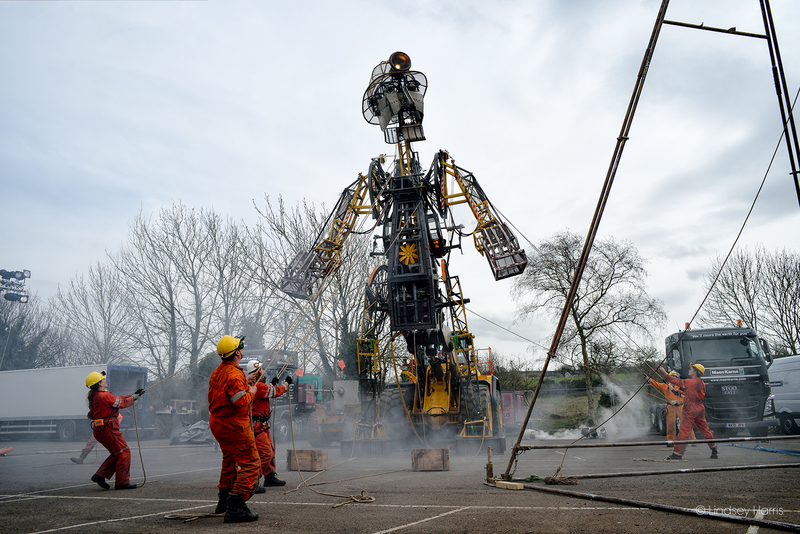 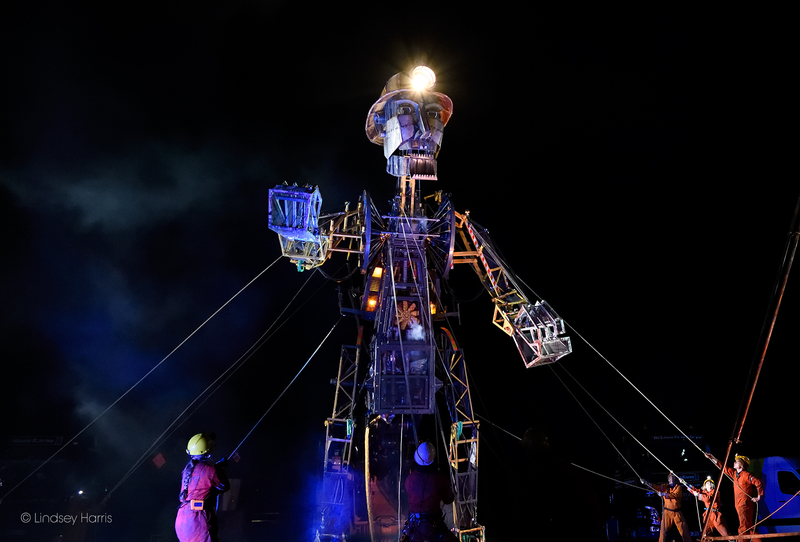 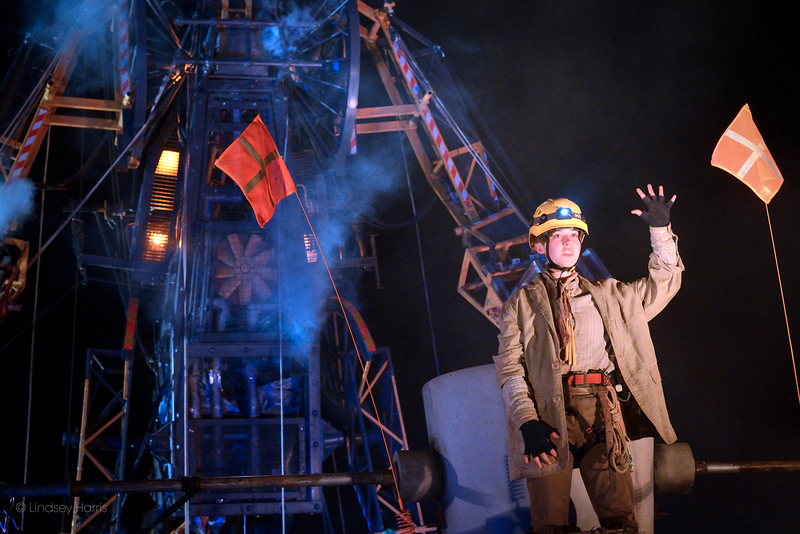 The Man Engine is a giant, metal, Cornish miner – part man, part machine – standing 11.2 metres high. 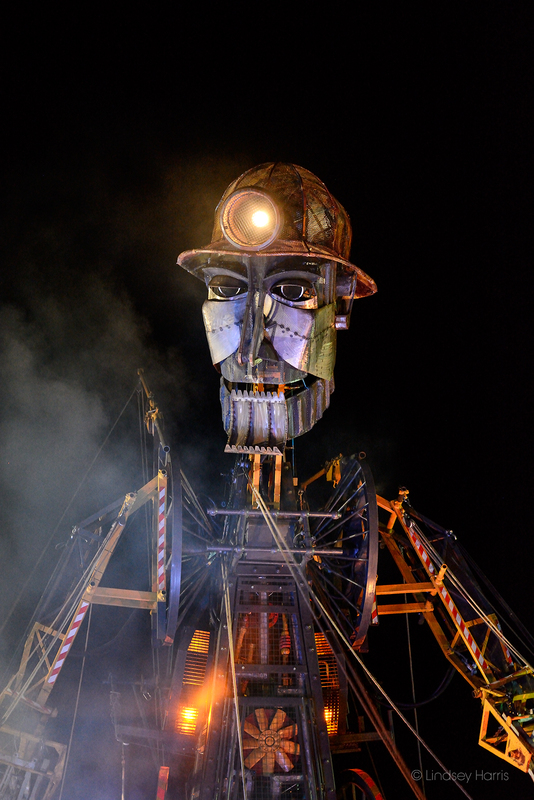 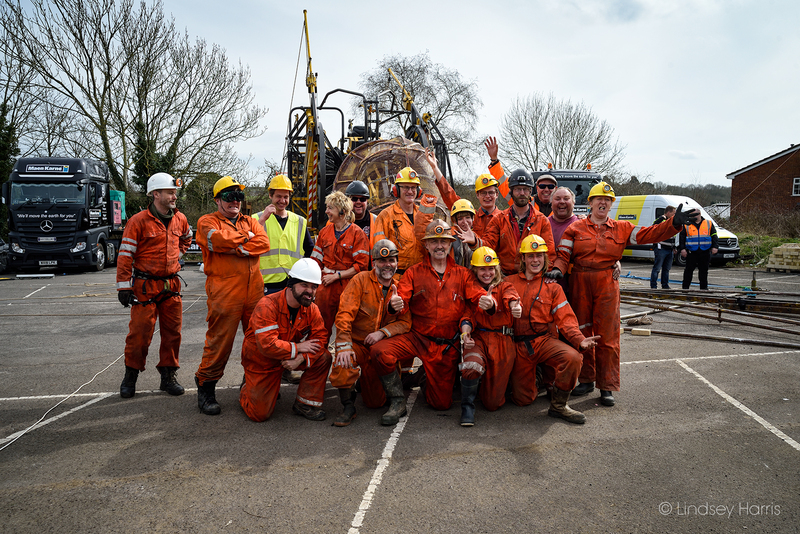 The Man Engine weighs in at nearly 40 tonnes and was engineered entirely in Cornwall. 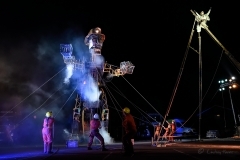 He is the largest mechanical puppet ever made in Britain. 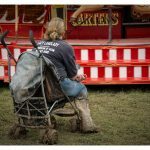 Wikipedia describes a ‘man engine’ thus: A man engine is a mechanism of reciprocating ladders and stationary platforms installed in mines to assist the miners’ journeys to and from the working levels. 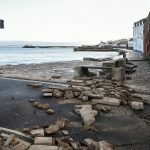 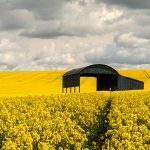 It was invented in Germany in the 19th century and was a prominent feature of tin and copper mines in Cornwall until the beginning of the twentieth century. 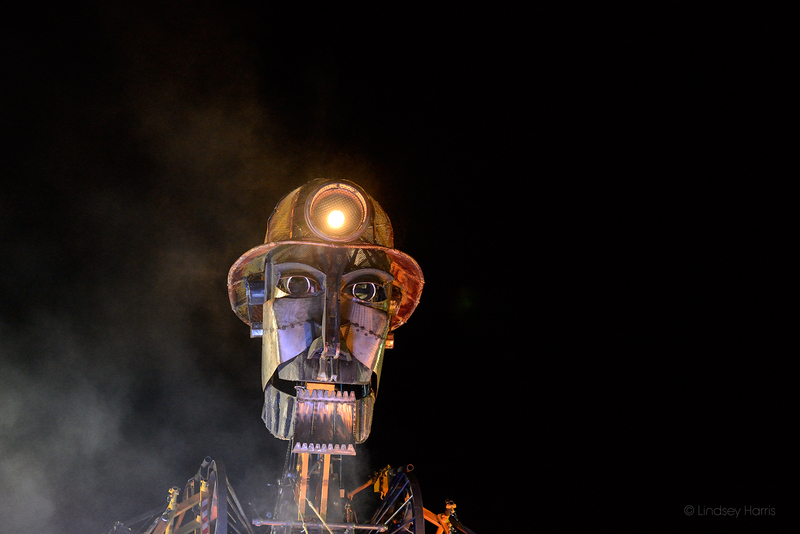 I first photographed him in August 2016, when the Man Engine visited Camborne and Redruth, Cornwall. 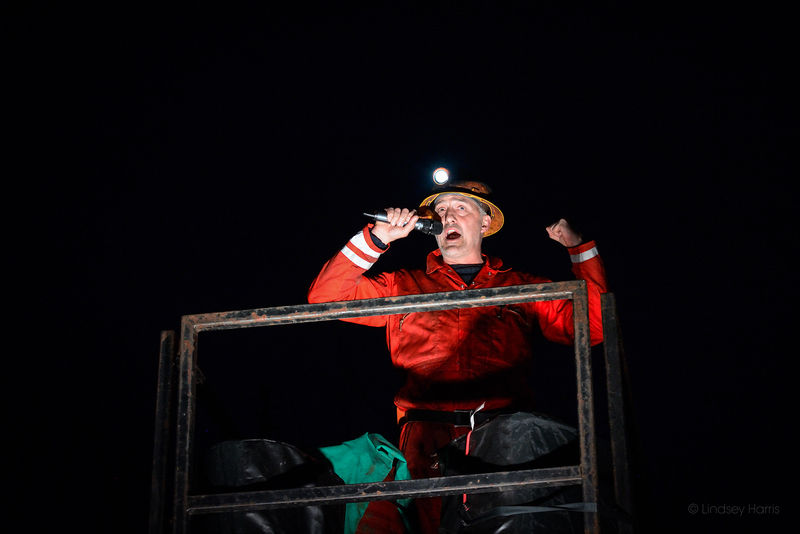 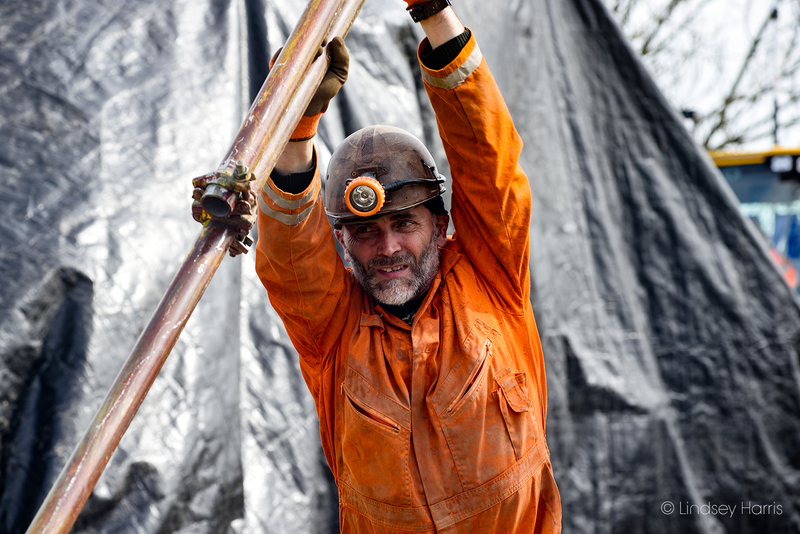 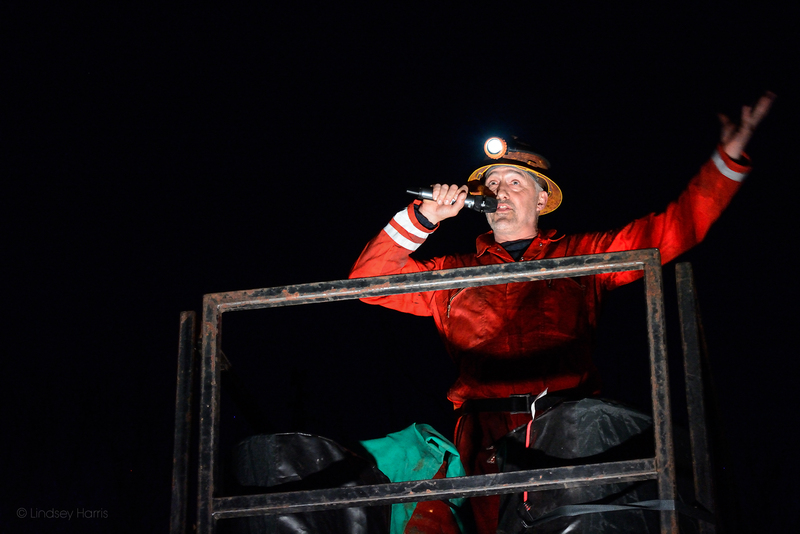 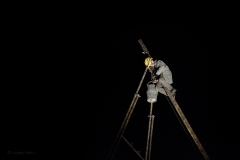 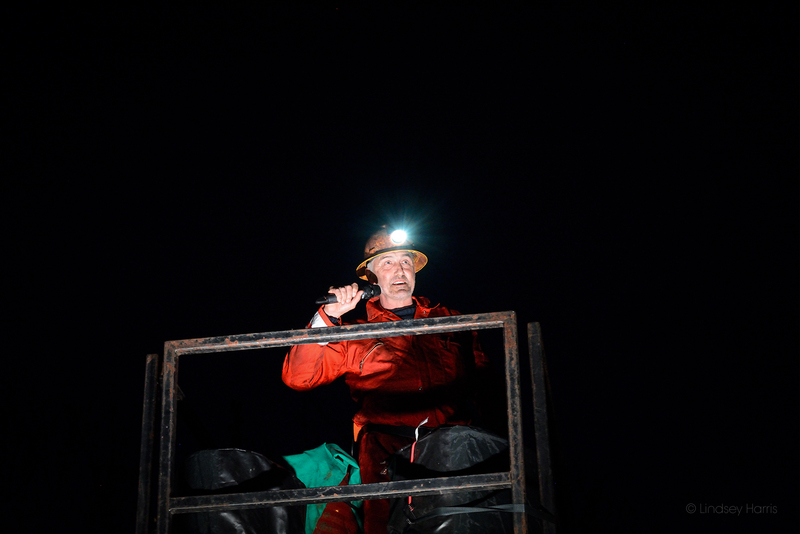 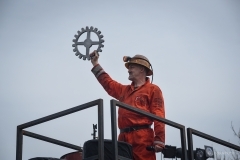 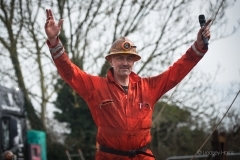 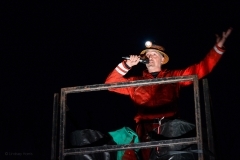 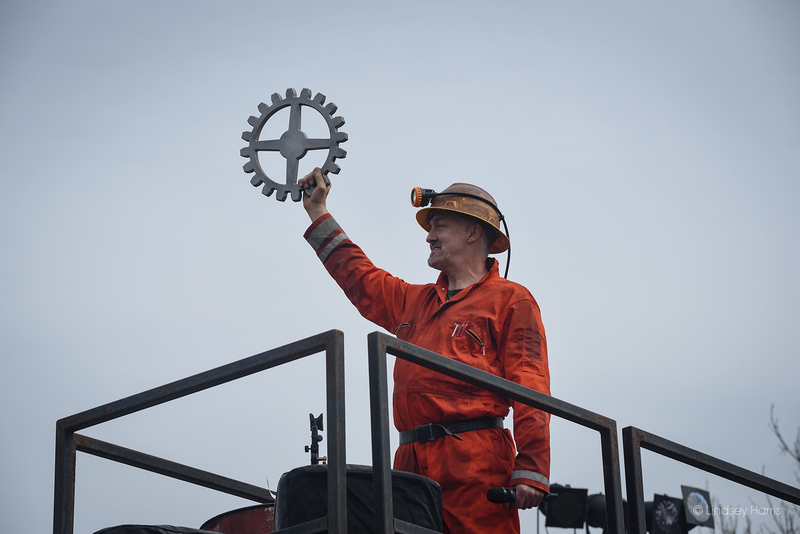 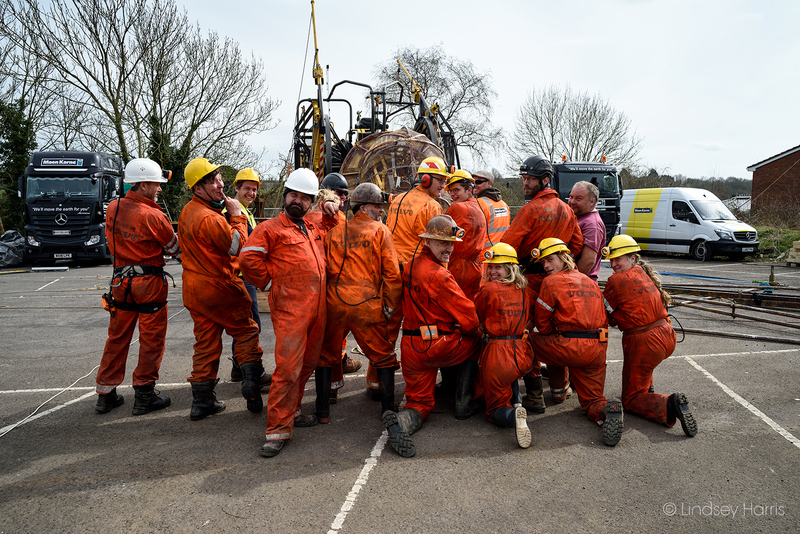 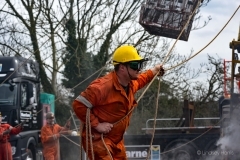 That summer he toured the length of the Cornish Mining World Heritage Site, to celebrate its Tenth Anniversary of gaining World Heritage Status. 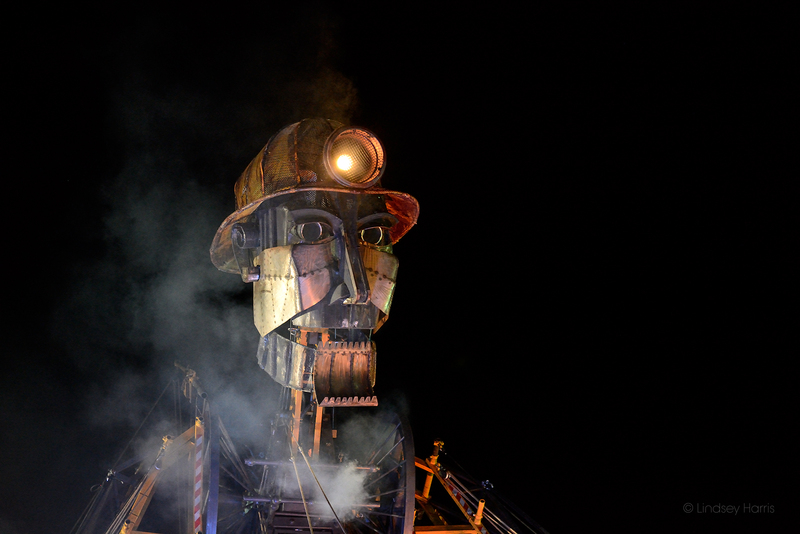 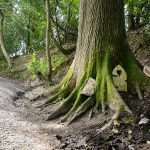 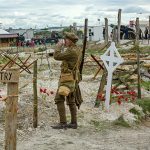 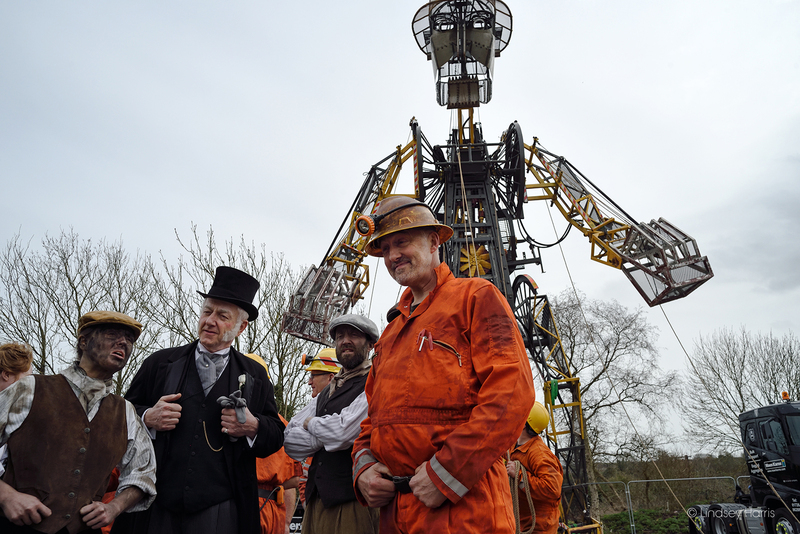 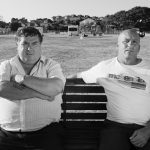 In 2018 the Man Engine is back with a tour of former mining towns that started in Cornwall on 31st March. 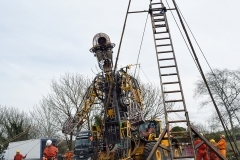 Then on to Tavistock in Devon, Radstock in Somerset and continuing to South Wales, Shropshire, and Yorkshire. 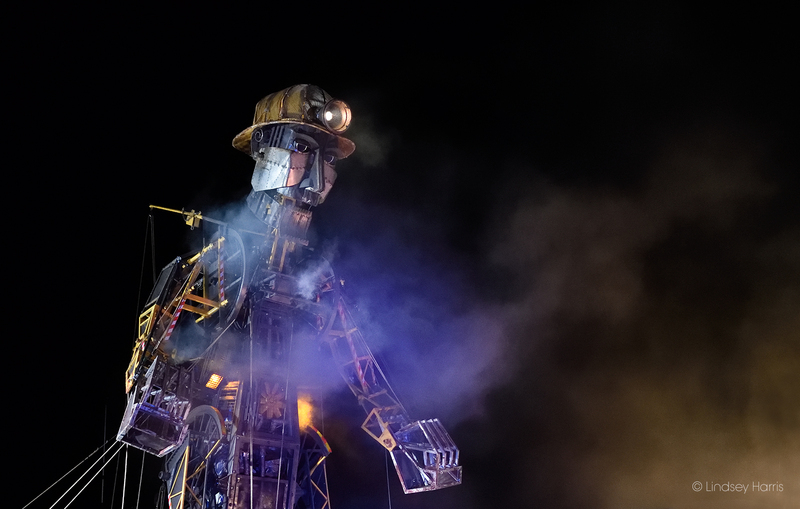 His travels end on 23rd June 2018. 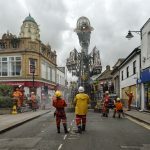 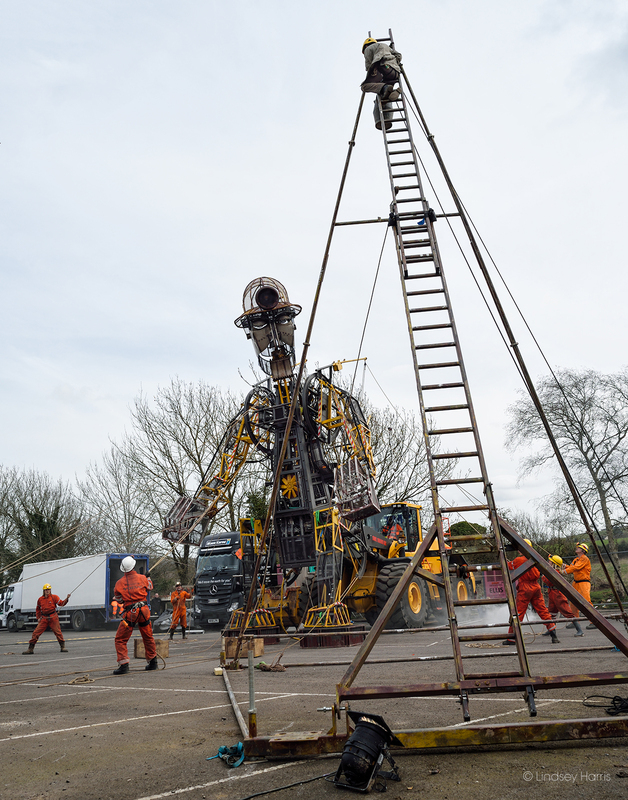 »» Video footage of the Man Engine at Radstock can be seen here [link opens in a new window]. 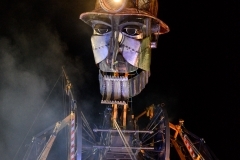 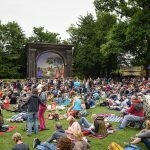 »» Visit the Man Engine website [link opens in a new window].